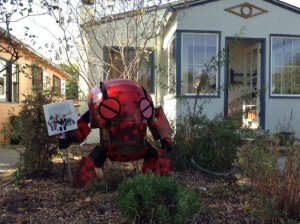 We set up PhotoBot for Halloween! 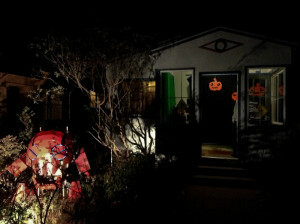 If you came by our house to trick or treat and took a photo, click here to view and download. Check out the robot Donald built for our yard. His eyes lights up with blue light. This entry was posted in Events, Projects and tagged Photo Bot, Photobot on October 31, 2013 by RobotBrigade.